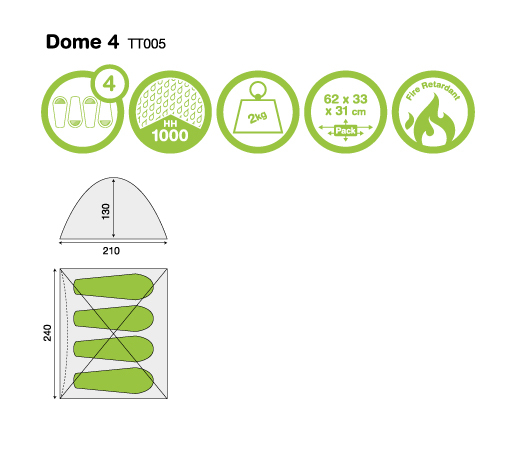 The Yellowstone 4 Man Dome tent is perfect for holidays, festivals and backpacking. Its two poles make it easy to setup, and its single skin design makes it light and comfortable to transport. The dome shape gives you a little extra height, and we includes high visibility guy lines and pegs to get you started. It weighs 2kg and its Hydrostatic Head is 1000mm. If you are looking for a good tent this summer, check this one out!